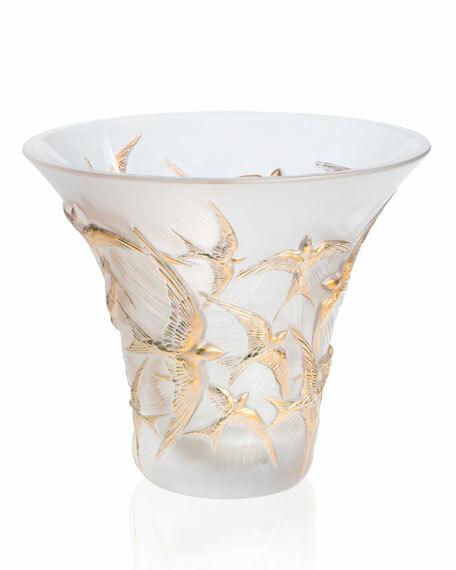 The dramatic flared Hirondelles vase features swirls of swallows captured in flight. Exquisitely carved details echo the movement of wind beneath their wings, creating a captivating and striking design. The swallows are meticulously hand-painted with 24-karat gold enamel to bring out the details. 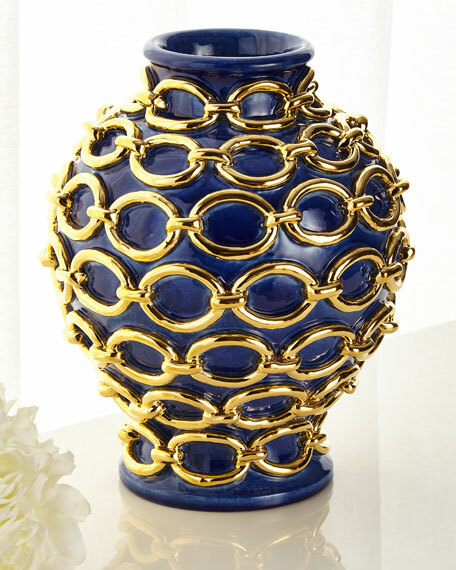 Handcrafted crystal vase with 24-karat gold detail. For in-store inquiries, use sku #2504664. 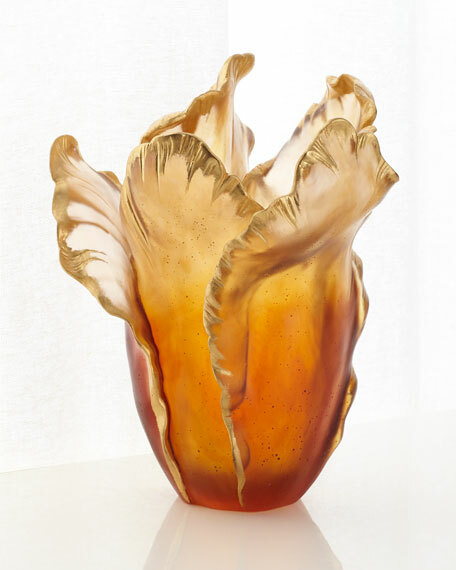 Handcrafted vase. 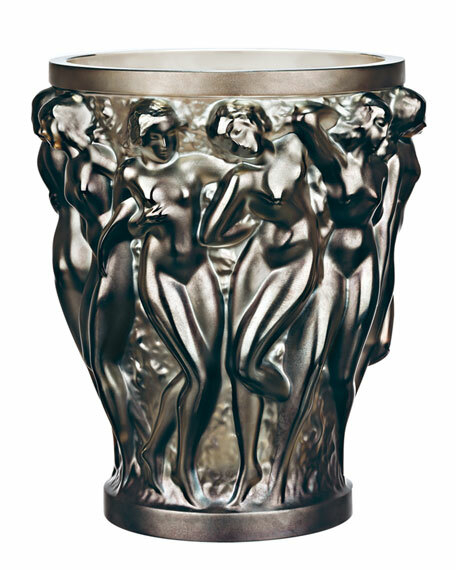 Art Deco-inspired design. 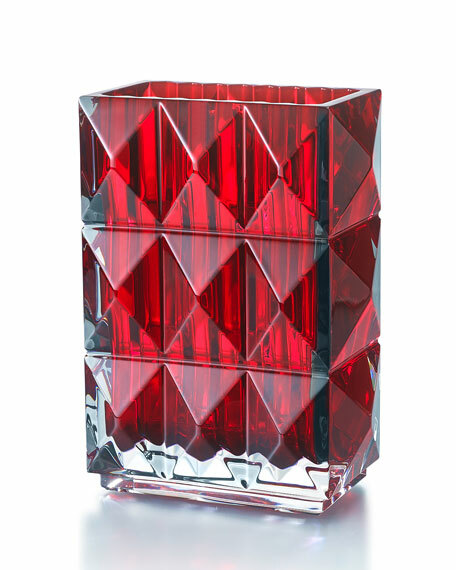 Lead crystal. Cut-crystal surface scatters the crystal reflections. 7.875"T. Hand wash. Made in France. Exclusively ours. Handcrafted ceramic vase. Golden chain detail. Hand-painted. 11"Dia. x 13"T. Made in Italy.